If you are like most people who are planning to file for bankruptcy protection, you are already worried about how you can rebuild your credit after your case is over. While a bankruptcy filing will negatively impact your credit score, with time and hard work, you likely will restore your score sooner than you may think. Payment history. The credit reporting agencies look at your track record of paying your bills on time. It is vital that you review your report each year to verify that it is accurate and that you have any errors corrected or removed immediately. Credit history. In order to build your credit score, you must have active credit. In other words, you may want to keep your credit card accounts open, even if the account is paid and the card is not being used. Post-bankruptcy credit history. If you have filed a Chapter 7 or Chapter 13 bankruptcy, it is important to demonstrate responsible use of credit afterward. This means paying your bills on time and keeping credit cards with only low balances. Debt. After your bankruptcy discharge, you probably will have little debt left. However, it is important to make paying any remaining debt a top priority. 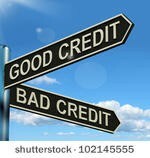 Variety of credit. It is normal to have secured and unsecured debt, but the best strategy for keeping your finances under control is to only use credit when necessary. A knowledgeable lawyer at Faro Crowder, PA, will not only help you obtain the debt relief you need through filing a bankruptcy case, but we will also work with you in creating a plan for rebuilding your credit once you emerge from your case. Call us today to schedule your initial consultation. This entry was posted in Bankruptcy, Chapter 7 and tagged bankruptcy, credit history, Credit score, debt, payment history, tips on December 30, 2014 by Michael Faro.